Some months ago, I posted about the wine-making game Viticulture which was being Kickstarted (and I will be reviewing that soon). The same designers at StoneMayer Games are Kickstarting their new game at the moment called Euphoria. 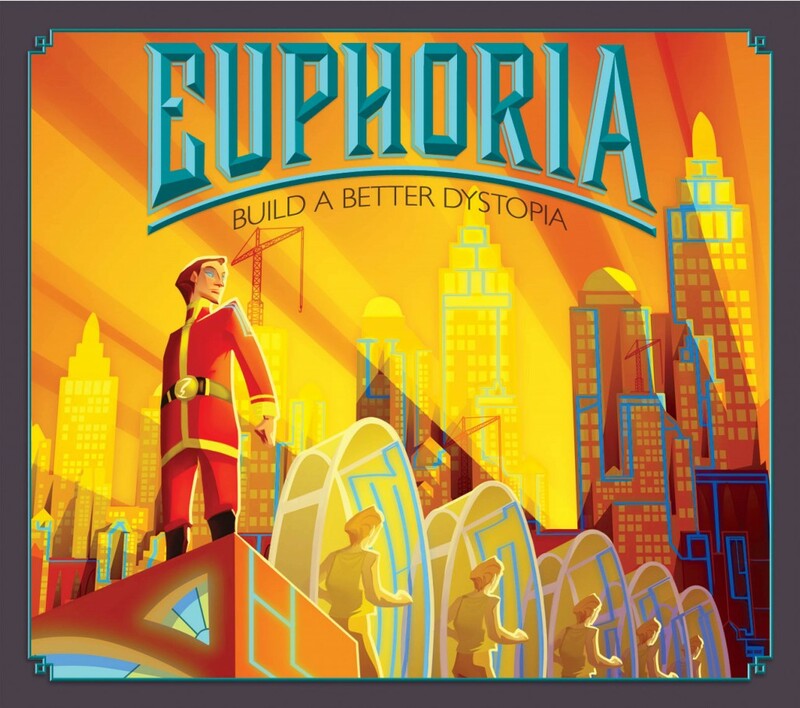 Euphoria is set in a dystopian future and is a game of worker placement. Workers are dice whose values are set by rolling them when you gain them or retrieve them from the board. High value dice can be handy because some locations give a benefit based on the sum of the workers there; however, the numbers represent the worker’s knowledge of the world around them and too much knowledge on your workers who aren’t currently placed means they become too aware of their reality and run away. On their turn, players can either place workers (one at a time, or more if the workers have matching values) or they can remove workers, but never both. Placing workers allows players to use various actions which usually earn resources or allow a player to spend resources to gain things like workers, etc. 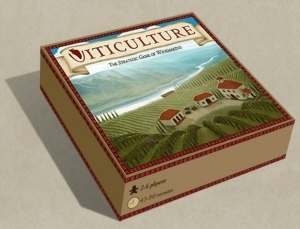 There were a few wine-making games released a couple of years ago and I noticed a new intriguing one called Viticulture on Kickstarter at the moment. The reason it has intrigued me is because it combines several game mechanics that I like in other games. During the game players are trying to make the best wineries from their meagre beginnings. Turn order is decided by players claiming different positions and each position gives a benefit – the later the position the better the benefit. This is similar to the turn order system in Fresco (where the best part of the game was deciding what time to get up as that determined turn order as well as other limits like market prices, happiness of workers, etc. for you for that turn). Last Will uses a similar system too.